Author Michael Korda discusses his new book. 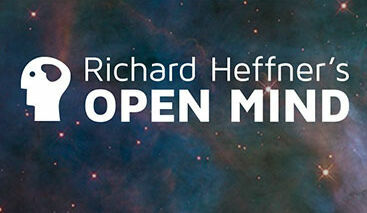 I’m Richard Heffner, your host on The Open Mind … and occasionally over many, many years now on this program about ideas I delight in bringing to viewers a challenging new book I just know will give them much pleasure – the pleasure of gaining real insight into our past, and, even more importantly, into what puzzles us in the present, as the Mideast does today. Harper Collins “HERO, The Life and Legend of Lawrence of Arabia” is just such a book. 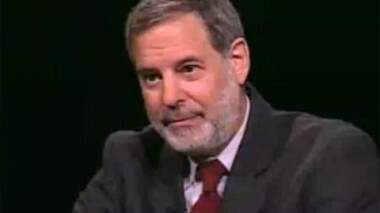 And its author, joining me today as he did when “IKE”, his splendid study of “An American Hero” reached the New York Times’ “Best Sellers” list, is Michael Korda, Editor in Chief Emeritus of Simon & Schuster, author of various other brilliant books and editor of many, many other accomplished writers. And even Evan Thomas, who discussed his own The War Lovers here not long ago, writes that “Lawrence of Arabia, one of the great heroes of any age, has found the right biographer in Michael Korda–a keen judge of the human condition and a master story teller who can separate myth from reality without diminishing the grandeur of his subject”. And so I would like to begin today by asking my guest just WHY Lawrence, why Lawrence of Arabia? And what myth? And what reality? KORDA: Well, “why” Lawrence, speaking personally is easy to answer. I read Seven Pillars of Wisdom when I was 15 and was bowled over by it. And my uncle, who’s Alexander Korda, owned for a considerable period of time, the motion picture rights to Seven Pillars of Wisdom and was going to do it as a film with my uncle Zoltan directing it and my father doing the sets for it … starring Leslie Howard as Lawrence. So Lawrence has always had a kind of internal role in my own life and been a subject of conversation in my family. Secondly, whether knowingly or not I served in the Royal Air Force, like Lawrence when he served solitary in the ranks after his “fame”. And I was an enthusiast for large and powerful motorcycles. So that I duplicated some of Lawrence’s experiences. Perhaps not the important ones, but he played a kind of pivotal role in my own adolescence and youth. So I have always been interested in Lawrence. Secondly, Lawrence is constantly fascinating. He is the first media celebrity, the first modern media celebrity. He was somebody whose fame was so great that it drove him to attempt to escape it … unsuccessfully because he never could. Finally, Lawrence is the most interesting of men. A military genius who could fight a convention battle on conventional terms. The inventor of modern insurgency … he brought the Arabs high explosives and taught them how to use high explosives as political and military statements. He taught them how a small group of insurgents could use high explosives to immobilize a large and modern army … the Turks, in his case. He also taught them the basics of guerrilla warfare. And that’s … makes Lawrence extremely interesting and important today. What we are confronting in Iraq with the insurgents and in Afghanistan with the Taliban is exactly Lawrence’s mode of warfare. But, beyond all those things, probably the most successful large scale epic movie of all times was made about two years of Lawrence of Arabia’s life. In England and in America he has a mythic position. If I were to ask, most people, including perhaps yourself, “who was the name … what was the name of the hero that you could remember best from World War I?” A war in which something like 21 million people were killed and there were many, many hundreds of thousands of heroes. I think probably the only one that anybody could still name today would be Lawrence of Arabia. Even those who didn’t know what he did would still say, “Lawrence of Arabia”. He is also, of course, a most incredible writer. Seven Pillars of Wisdom is one of the best non-fiction books about war ever written. Hugely admired by Hemingway and almost everybody else. The Mint is an extraordinary book about his service in the Royal Air Force. He wrote one of the best translations of Homer’s Odyssey from his bunk as an airman, in pen in large, large notebooks, in his spare time. So you have here, I think, quite genuinely, as John Buchan, the author of Greenmantle a novel which is widely supposed to be about Lawrence of Arabia. An authentic genius. Buchan called him, in fact, the only genius he had met in his lifetime. HEFFNER: Why didn’t your uncle make the movie? KORDA: He had, well, he had promised Lawrence he would not make the movie while Lawrence was alive. After Lawrence was killed in the motorcycle accident in 1935, he was free to make the film. But the Arabs did not want the Arab revolt portrayed as having been led or inspired by a young Englishman. There were, even at that time, there was unrest and trouble in Palestine. Even more unrest and trouble for the British in Iraq. And the British supposed that a movie about Lawrence would inflame the Arab world and asked Alex not to make it. Alex was perfectly willing to do that. Instead he moved my uncle Zoltan who was to have directed it, and my father on to make The Four Feathers. Another dessert movie, which was enormously successful. And after the war, he sold the film rights to Sam Spiegel over lunch, in London. HEFFNER: You make much of that in, in your book. KORDA: (Laugh) Yes, because it’s a wonderful scene. He sold the whole package, including my father’s sketches and the script, which had been written by Miles Malleson and Winston Churchill. HEFFNER: What did Churchill have to do with it? KORDA: Well, Churchill was working for some time for London Films as an advisor during those years in the thirties when he was out of political favor and found it difficult to support an extravagant lifestyle. My uncle Alex was one of several people who supported the Churchill ship and kept it floating during the thirties. And did so by making Churchill an advisor on films, helping with scripts. He helped write the script for … both my uncle’s film about Lady Hamilton, That Hamilton Woman and for Lawrence. So you, you have here an extraordinary story. And then Lawrence is, is, is the celebrity, the hero who will not die down. His fame goes on increasing. When it flags at all, something will come along to revive it … like David Lean’s magnificent movie in 1962, which brought to a whole new generation Lawrence and Lawrence’s accomplishments in the shape of Peter O’Toole. I expect that to some degree my own book HERO will do the same in 2010. Our attention is constantly being re-focused on Lawrence. KORDA: Oh, it’s very much a part of, of Lawrence. I think actually it’s the most fascinating part of Lawrence’s life, is after the war when he became an Airman briefly and reluctantly a solider and then went on being, almost to the end of his life, an Airman solitary in the ranks. His social life, his correspondence, his correspondence with Charlotte Shaw, George Bernard Shaw’s wife, fills four very substantial volumes. And that’s only his side of the correspondence because she had him destroy all her letters. His correspondence with E. M. Forster is simply amazing. His correspondence with Thomas Hardy is, is, is, is, is incredible stuff. He was a close friend of Siegfried Sassoon. He was … there’s hilarious correspondence between Lawrence and Noel Coward. He was never a, a person who shied away from social life, even though he seemed to fit it very poorly. You know he would arrive at the most magnificent parties dressed as a simple airman, on his motorcycle. But, of course, that made him even more famous. HEFFNER: You, you do. Interestingly. KORDA: … he was the great celebrity of his age. Surrounded by photographers, plagued by reporters, constantly making headline news. He didn’t have to do anything to make headline news. He simply had to be himself. And yet at the same time there was about him … it was Shaw who said, and I think very wisely, that Lawrence backs constantly into the limelight. He has always tried to be meek, shy and modest. And yet the limelight is always shining on him. HEFFNER: And yet, I, I don’t quite understand how and why in England in this period, he managed to have such a, an entrée to and a familiarity with all of the “greats”. KORDA: He was brilliant. First of all, he was … it is, it is almost impossible to convey the extent to which he was regarded as a hero. And a most unusual hero. KORDA: For better or for worse. But still a remarkable accomplishment for a man who was then in his very early thirties, only. His bringing to the same table Emir Faisal and Chaim Weizmann the head of the World Zionist Organization and getting them to sign off on the idea of a Palestine with a joint Arab/Jewish government in which there would be no limits set on Jewish immigration in 1919 and getting them to sign that document, which he, himself, had written and typed … is an extraordinary achievement. I mean, we’re still trying to achieve something of that today … and failing. Lawrence got them to sign to it. It was the reluctance of the British to give up Palestine because it protected the Suez Canal and the reluctance of Woodrow Wilson to make the United States the guarantor of a joint Arab/Jewish … Palestine … which doomed the project. But Lawrence got closer to what we would regard as a fair and reasonable settlement for both, both parties in Palestine than anybody ever has since. So, his fame in England was based on real accomplishment. In addition to which he was a man of enormous charm. 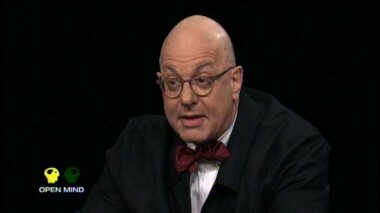 A wonderful letter writer, I mean more than his books, his letters are a treasure … an enormous treasure, I mean. There’s no counting the letters that Lawrence wrote. He was a constant correspondent and he knew everybody of consequence. He was, after all, an accomplished archeologist, an accomplished author, an accomplished translator. A brilliant military commander. The inventor of guerrilla warfare and insurgency, on top of that. He was a figure of magnetic appearance and charm. KORDA: … her achievements in warfare, her way of speaking, her way of planning a campaign … all of that Shaw based on Lawrence whom he adored. It was a mutual seduction that was ultimately completely successful and one of Shaw’s plays Too True to Be Good is based entirely on Lawrence. The, the main figure in it … Private Meek … a simply undisguised portrait of Lawrence after the first World War. HEFFNER: What about Lawrence’s associations with the Fascist group in England in the thirties? KORDA: And Mosely and the Biritsh Fascists made a modest attempt to recruit Lawrence and anyway to recruit Lawrence in terms of approval. At no point, however, did he ever … the only thing that he every said, jokingly, was that if Mosley ever came to power he hoped that Mosley would absolutely stamp out the British popular press (laugh) because, of course, Lawrence was persecuted like Princess Diana, by the British popular press from 1920 to his death in 1935. But beyond that I don’t think that Lawrence had any interest in Fascism. HEFFNER: Michael, a function the paparazzi … we know of Hollywood, but a function, then of the Brts? KORDA: Oh, very much so. KORDA: Ahhhhh … Lawrence was the … like Princess Diana again … the most perfect target for the popular press. They invented things that, that he was doing and made headlines of them, even when they weren’t true. When he did do things, of course, they made even bigger headlines. So that when he left the Royal Air Force finally in 1935 and retired from it and bicycled back to his modest cottage, the cottage was surrounded by reporters and photographers. They even climbed on the roof to try and take pictures of him through the little portholes of, of, of the roof. When he died in the motorcycle crash, Scotland Yard had to keep two detectives sleeping outside the place where his body was to prevent journalists and photographers from getting into the mortuary and photographing the body. He was an astonishingly famous person. There is nobody at present in our lives who is as famous as Lawrence was in his. HEFFNER: … your book in front of me. But when you write about the heritage of Lawrence. You say “His heirs would include such unusual British officers as Major General Ord Wingate, who would put Lawrence’s ideas to use in the Sudan, Palestine and Abyssinia, between the wars and in Burma during World War II. He also influenced several even more successful unconventional revolutionary soldiers, including Mao Tse Tung in China, Ho Chi Minh in Vietnam and Fidel Castro in Cuba. And in our day, both sides in conflicts such as those in Iraq and Afghanistan.” True? KORDA: Absolutely true. The, the premiere book on insurgency that is read by everybody in the United States Army these days is a wonderful book, the title of which is Learning to Eat Soup with a Knife. Because Lawrence said, putting down an insurgency is a long and difficult task, like eating soup with a knife. And the, the, the Lawrence idea of insurgency is … on the one hand, the basic strategy that successful guerrilla leaders throughout the 20th century have used … among them, as I say, Castro, Ho Chi Minh and Mao Tse Tung. It is also the basic strategy of the insurgents in Iraq and the Taliban in Afghanistan. Lawrence taught his, his method of fighting to the Arabs, which was to use explosives as what he described as pinpricks that would immobilize and eventually defeat even a large, well-equipped modern army. The Turkish army in 1917/18 was, in fact, a large, well-equipped relatively modern army with aircraft, artillery, German and Austrian experts to teach them what they did not already know and help them with what they were doing. Lawrence immobilized an army that was many, many times larger than the Arab and the Bedouin tribesman, by blowing up specific points. By rushing out of the desert where he was least expected to come from. Blowing up something that mattered to them and going back into the desert again. Vanishing, in short. So, what is being used against us … the IED, the improvised explosive device … is exactly what Lawrence taught the Arabs to use. We are fighting exactly what the Arabs did in 1917 and 1918 … and probably the best book we could be reading is Seven Pillars of Wisdom. HEFFNER: And would he have an antidote? KORDA: Yes. Lawrence’s antidote to a guerilla warfare was a relatively simple one. Which was that it was cheaper and more expedient to buy support than to fight them. His most important contribution to the war was the use of high explosives. But he kept the war going by the expedient and very, very lavish use of gold. Gold kept everybody fighting. And everybody had to be paid in gold to fight. KORDA: … that happened. Well, to some extent they did. They, they were rather meaner with their gold than the British. Perhaps because they had less of it. But where they could, there seems to be the problem that it worked very well, was to simply bribe a tribe not to fight them. The British would then have to out-pay the Turks for the support of the tribe. And Lawrence describes all this in great detail in Seven Pillars of Wisdom and it’s utterly fascinating. He also describes, which is quite remarkable … the set pieces of his, of his battles. Some of the best writing about war and some of the most terrifying writing about war is in Seven Pillars of Wisdom, it’s enormously admired. Those moments where the worst happens to him. Where, for example, he is forced to execute a man with his own pistol. Bear in mind that this is a young man in his twenties who’s nominal rank was that of a second lieutenant. And there he is in the middle of people who have different customs from his own … in the middle of the desert, by himself with nobody to rely on and nobody to give him orders. Or nobody to ask for help from. Must stand there and execute somebody because being a foreigner, being an infidel, having no tribe, he can execute the man without there being a blood feud that would otherwise tear the army to pieces. His description of that … spare and detailed … very cold and precise … is one of the most terrifying non-fiction pieces of reporting about war. As is the point towards the end of the book at which he orders no prisoners to be taken in return for a Turkish massacre of an Arab village. It’s described in a way that is worthy of Hemingway, but better than Hemingway. Hemingway immensely admired it and learned much of the way that he wrote about war from Lawrence. KORDA: … quite an achievement. HEFFNER: … we hear so much today, in just a couple of minutes we have left … we hear so much today about the psychological impact upon our soldiers fighting in Iraq, in Afghanistan … I gather you feel that there was a tremendous impact upon Lawrence, too. KORDA: Oh, yes. (Sigh) The worst happened to Lawrence. When you think of a young man in his twenties … he achieved huge fame, more than he could ever deal with. He executed a man with his own pistol. And then killed many, many more. At the start he cut notches into his rifle and then he was so disgusted with himself at doing that, that he stopped. He saw and perpetrated massacres. He emerged from the war deeply, deeply damaged. He was captured at one point, though not recognized as Lawrence, by the Turks. Sodomized and raped, beaten savagely. It marked him forever. He could not bear to be touched by another human being. The entire sexual life that he might have had was cut off from him entirely … he repressed in himself … at tremendous cost and with tremendous effort, every impulse towards sexuality because of what had happened to him in Dera’a in 1918, when he was captured, beaten, flogged and sodomized. He emerged from the war a deeply traumatized and damaged personality. It’s one of the things that makes him appealing, by the way … is his immense effort to overcome what he had done, what he had seen and what had happened to him. And to write books about it. And to be frank about it and to be lead a life, which I think was both very useful … he accomplished much. Not only in literature, but in the design of speedboats, which he took up … to rescue flyers. Many of the pilots who were shot down in the Battle of Britain for example, into the Channel and the North Sea, owed their lives to Lawrence’s contributions to the design of high speed rescue launches. He had a successful life, but a deeply traumatized one. HEFFNER: Michael HERO is a book I hope all of our viewers read. And I hope you will stay there because I want to go on and talk to you about your role in books … not just HERO. HEFFNER: Thank you for joining me today. KORDA: I would be happy to.